Apple managed to trim the fat on its bill of materials for this year's iPhones, increasing the margin for profit, TechInsights suggests in its analysis. 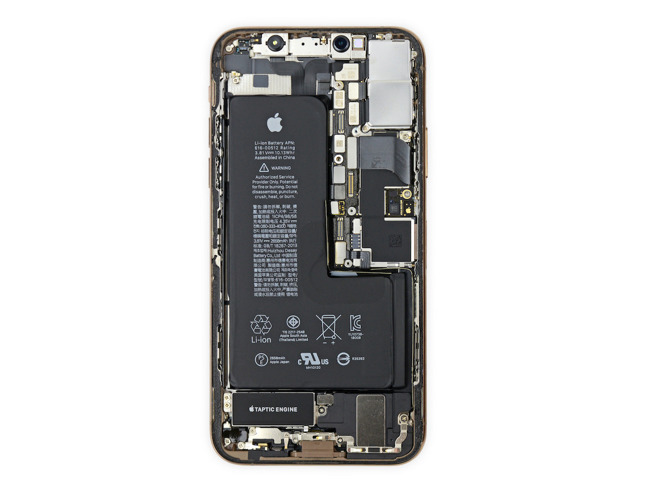 The iPhone XS Max 256GB — likely one of the most popular configurations — runs about $443 for parts and assembly. A large chunk of that cost goes to the large 6.5-inch display, which TechInsights estimates at $90.50, more than $12 more dear than the 5.8-inch display on last year's iPhone X. Along with a more costly display, the updated A12 processor, gigabit-class LTE modem, larger battery, additional memory and a "significant increase" in the cost of non-electronic components swelled the final tally. According to the firm, iPhone XS Max has a larger, heavier housing than that of the iPhone X, while the new handset's internal frame increases process costs related to spot welds, inserts and other internal structures. Apple is selling the 256GB iPhone XS Max, which AppleInsider reviewed this week, for $1,249. As usual, BOM reports should be taken with a hefty grain of salt. The analyses are merely estimates based largely on current market values of critical components and is unlikely to reflect Apple's actual cost. TechInsights itself notes the figures are at time based on assumptions. All cost estimates provided here are compiled using information available to us at the time of the initial teardown. Some assumptions have been made where concrete data is not yet available. We will continue to gather and refine this costing data throughout our ongoing deep-dive teardown process and analysis. While we do not expect drastic cost changes, we do expect some adjustments. Apple CEO Tim Cook chimed in on supply chain "guesstimators" years ago, saying he has never seen a BOM estimate that was close to accurate. Updated to reflect a change in Tech Insight's estimates regarding display components. The company previously said Apple removed parts associated with the phone's 3D Touch system, but further investigation found that to not be the case.